According to the Powering Productivity report from Planview and Loudhouse, poor processes are the primary cause of company inefficiencies (44%). Even the largest companies in the world struggle with poor processes, resulting in poor performance and lost revenue. But these problems are not always the fault of design. Bad processes don’t just come from poor process management, but often evolve naturally within companies over time. From NASA to SpaceX, processes can become corrupted without anyone noticing. This phenomenon can be known as the normalization of deviance. What is normalization of deviance? Normalization of deviance is a concept developed by the American sociologist Diane Vaughan. She developed this theory when looking at where conflicts, mistakes, and disasters find their roots. She holds that the source of these phenomena lies in the environments in which they occur. Organizational factors are, for Vaughan, the key drivers behind moments where conflicts, mistakes, or disasters arise. 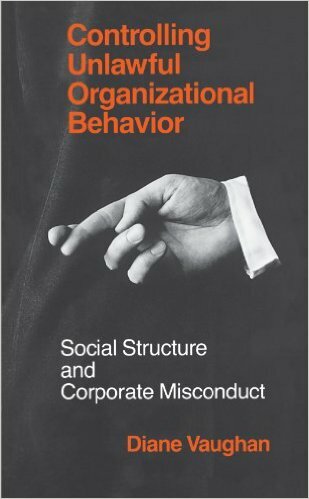 Her work on internal company case studies began with Controlling Unlawful Organizational Behaviour (1986) which investigated the large and rising prescriptions of a painkiller known as Revco. This study ended up concluding with the discovery of unlawful false billing of the US Welfare Department and other fraudulent activities. Describing how these deviant behaviors – or bad processes – not only cause problems but remain hidden. This is where normalization of deviance becomes far more important than simply talking about bad processes. That poor processes are not uncovered because they have become ingrained within a company and accepted by both the organizational structures and the company culture is a sobering and challenging thought. For her 1996 book, she sought to investigate a larger public disaster which had clear levels of organization behind it to test out her mode of inquiry further. She set out to uncover where the problem lay in the 1986 Challenger space shuttle crash. The book was called The Challenger Launch Decision, and earned Vaughan great acclaim. Vaughan specifically targets the decision making and testing surrounding the key flaw which led to the failure of the Challenger launch and the deaths of the 7 passengers on board. Vaughan makes further claims of how normalization of deviance affected other aspects of the organization, but her central thesis lies around the solid rocket boosters (SRBs) and the relationship between NASA and private contractor Morton-Thiokol. Through testing, NASA had discovered problems with the joints on the SRBs. Vaughan asserts that the results of these tests showed deviance from what the team was hoping to find, yet the teams chose to record these results as being within “the bounds of acceptable risk”. Vaughan concludes that this decision to categorize the results as acceptable should have been given greater scrutiny. However, because testing had gone on for a long time, and many sets of results had been gathered, the question of whether the results provided “acceptable risk” or not had gradually lost importance. The members of the team had repeated to themselves so many times that these results were acceptable, that they began to normalize that decision and not scrutinize it to the extent they should have done. The problem, according to Vaughan, could be found across both teams. Morton-Thiokol were running tests on the putty used to seal the O-rings in the SRB joints. They continued to find problems and eventually replaced the putty with a better performing version. This new putty still produced results which deviated from what they wanted to see but recorded it as an acceptable level of risk. As history shows, flying with that flaw was a danger and presented a higher level of risk than anticipated by the engineers in testing. The emphasis in development was focused around building something that worked, rather than considering the human lives at risk if all safety concerns were not adhered to. The normalization of deviance described by Vaughan has long been considered the key to the causes of the disaster – and left at that. Her own research is focused primarily around how disasters occur, so we shouldn’t be surprised if she doesn’t opt to analyze NASA’s broader activities. However, other people saw this normalization of deviance as being a potential signal that there were greater endemic problems within NASA’s operations and the industry as a whole. According to Ashlee Vance, in his biography of Elon Musk, the South African entrepreneur felt there was a normalization of deviance occurring within the heart of the industry. Musk, consciously or otherwise, built on the work of Vaughan in looking at why rockets and space activities are so expensive, slow, and seemingly lacking in innovation. So, Elon had felt he’d diagnosed normalized deviancy within the entire industry and sought to take advantage of it. But how deep does this deviancy go? Too often, the role of processes in a business are overlooked. Bad processes lead to bad results. We have published more than once about the human-resources focused, health insurance unicorn startup Zenefits. They saw their valuation plummet across 2016 from $4.5bn to $2b. This largely came about because their team were not properly licensed to work in the states they were selling to. They didn’t have sufficient checks on their employees and even encouraged malpractice through pushing employees to get any licenses they do get at a faster rate than normal. The problem with Zenefits could probably be seen straight away from their company motto: “Ready. Fire. Aim”. Moreover, good process management is not only about organizing people, it is about analyzing and understanding your processes. On a day to day level, processes often work by providing a clear series of steps to undertake different tasks. However, processes are much more than this. High-level processes which map out the broader company activities and line up with the direction and strategy of the company can help you evaluate all the smaller processes within them. Optimizing processes and analyzing each step of a process from the beginning to the end helps you locate mistakes and poor calls and as a result readdress those issues. To implement strong business process management, you want to make sure it is a collaborative arrangement. According to AIIM, business process management should involve the whole team. People should feel like they have ownership over the processes they’re employing. The development of processes should have input from all members to result in more effective and efficient processes. It is the specific problem of teams normalizing problems which makes this concept so potentially damaging. If a whole team has accepted something then each individual effectively becomes blind to the problem. Collaborative creation of processes means that the whole team can be involved, including input from outside the core group. These processes can be assessed and analyzed by outside eyes which may be more able to spot the deviancy and stop it before it becomes too deeply embedded. Chris Gervais believes that the key to combating endemic normalization of deviance lies in building a culture of communication. Gervais believes the answer lies in empowering employees to have controls over their own processes and tasks, and to create a culture where questioning the perceived order is accepted. Conventional company wisdom needs to be tackled at every point to see if it can remain standing. Companies which fail to build a culture of this kind will see the creeping presence of normalization of deviance. How can you practically tackle normalization of deviance? Process Street provides the business process management tools needed to make the changes and improvements described by AIIM and Gervais above. With Process Street, you can map overarching company processes to look for root problems. You can create processes for employees which they can then optimize through iterative improvements, as a team and with external input. Moreover, you can easily gather data on how your processes were carried out, allowing that optimization to be even more effective and informed. Through following optimized processes every time a complex task is completed, mistakes will reduce and quality will increase. Normalization of deviance is a glaring problem facing all companies, but it is a problem which can be handled. What processes do SpaceX use differently to NASA? On Saturday the 14th of January, SpaceX successfully launched their Falcon 9 rocket carrying 10 Iridium satellites up into orbit. More impressively, they glided the first stage booster back down to Earth and landed safely on a drone seafaring platform. SpaceX has long been known for their insistence on strong processes. Bringing the methodologies of Silicon Valley into the space industry was Musk’s key to outperforming the opponents. The application of efficient process management and lean strategy shaped how the company has come to be. What exactly did they do differently? There are two key ways in which SpaceX diverged from the industry’s norms. The two are related and intertwined but are more easily identified as separate phenomena. The first is SpaceX’s vertical approach to production. Instead of contracting out manufacturing to other firms who in turn contract bits of production to other firms, and so on ad infinitum with each adding their profit margins, SpaceX brought much of the manufacturing in-house. SpaceX also bought off-the-shelf tech to integrate into their product. With the rapid advances in computing, it’s possible to buy much of your equipment through consumer electronics even when building rockets. “The Space Exploration Technology rocket factory is a large, white hangar-like building near Los Angeles international airport, with a parking lot filled with late-model motorcycles and Tesla electric cars. The vast metal structure once churned out 747 fuselages for Boeing. When you get through the front doors, past security and a cubicle farm stretching the width of the building, there it is: Science fiction being wrought into shape, right in front of you. Unlike other space industry companies who move their factories around the world to save on labor costs, or contract out large manufacturing tasks to the other side of the country, SpaceX keeps as many of its workers together as possible. This ethos of having many workers from different sections all together, and encouraged to collaborate and discuss the project, is SpaceX’s key weapon against normalization of deviance. 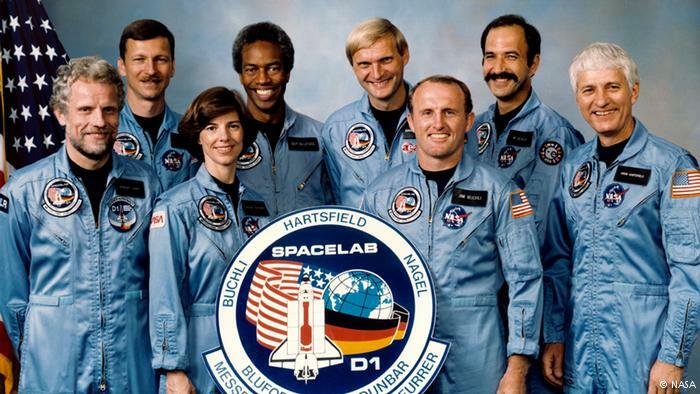 If the ethos of inter-team collaboration extends as far as analyzing others’ processes and core assumptions then errors like that leading up to the Challenger disaster could potentially be diverted. On Wednesday 11th of January 2017, the Aerospace Safety Advisory Panel published their annual report and criticized SpaceX for their fueling methods and the safety implications concerning the planned 2018 manned mission to the International Space Station. SpaceX uses super-chilled liquid oxygen immediately before launch to maximize their power potential. The report claims that the risks involved in this fueling technique with a manned vessel are not “adequately understood”. Though, we should remember that the Advisory Panel highlighting a problem is not a bad thing. In fact, in the context of a discussion surrounding normalization of deviance, this is the best possible result. But how did they come up with this analysis and locate this potential problem? SpaceX has been performing a safety analysis with NASA for the last year and a half. There have been continual external eyes on key decisions and testing assumptions. This oversight process has yielded results and raised concerns before a disaster has had the chance to strike. It appears we’re learning. Hopefully, the results of this will be a safe 2018 launch for SpaceX and more importantly, the astronauts onboard. If you haven’t already, sign up for Process Street here. Have you been aware of the normalization of deviance in your company? Comment below to tell us how you dealt with it and we might follow up with you to find out more! Thanks for explaining this concept. Normalization of deviance is a pervasive problem not only in work, but in our society. Phrases like “Corporate greed” or “Crooked Politician”, exist to point out the obvious yet unacceptable. Hi does anyone know of a brief Normalization of work behavioral test?